The Wikimedia Foundation has started rolling out a new look and upgraded functionality for Wikipedia that will be applied to all of the online encyclopedia's language versions over the coming weeks. The changes are the result of a process that began more than a year ago to do usability tests and request feedback from end users, the organization said Thursday. A new layout, called Vector, will become the default, replacing the current one, MonoBook, and is intended to make core functions easier to find on Wikipedia pages. Users who dislike Vector can switch their layout back to Monobook. The navigation scheme has been modified to make it clearer when a user is on reading or editing mode on a page. Controls that are used less often have been moved to a left-hand sidebar that users can have either open or closed. The editing toolbar has been revamped to simplify formatting of pages and the creation of tables. A new wizard walks users through the creation of links to Wikipedia or external Web pages. In addition, the search engine now features improved search suggestions. Wikipedia now also features a "book creator" feature which lets people pick articles and assemble them into a book in PDF format. 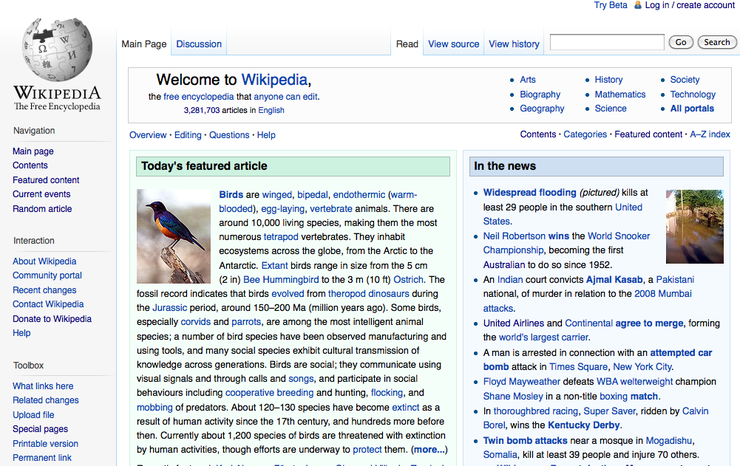 "We kicked off this effort in April 2009, and immediately went to work to figure out how to make Wikipedia easier to use for everyone," wrote Naoko Komura, from the Wikimedia User Experience team, in an official Wikimedia blog.